Sally’s vanilla fudge is rich, creamy and seriously addictive. 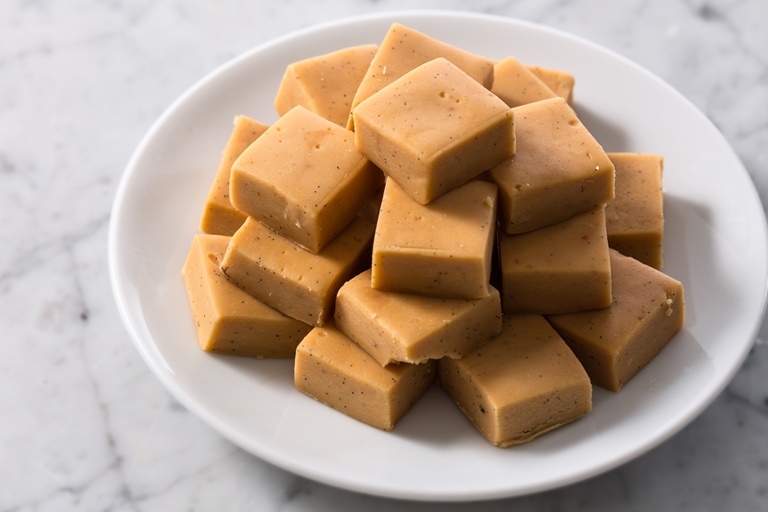 Quick and easy to prepare, the addition of aromatic vanilla takes this simple fudge recipe to a whole new level. Sometimes simple recipes need a little boost, and I think aromatic vanilla does just that to a simple fudge recipe. Two whole vanilla pods may seem like a lot, but the flavour and aroma they give is incredible. Don't be tempted to substitute for vanilla essence, this is a synthetic flavouring and really won’t have the same depth of flavour as the real thing. I save up all the empty vanilla pods (once the seeds have been meticulously scraped out) and dry them out so that I can blitz them up to make vanilla sugar, a great addition to cakes, biscuits and even Chantilly cream.